A Baton Rouge native’s love of food and cooking has landed him a popular blog, radio show and stints on the Food Network channel. 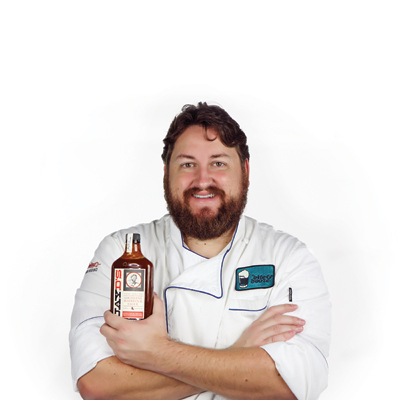 But Ducote admits he didn’t start cooking in earnest until he was a freshman at Louisiana State University in 1999. Ducote was at his first football tailgate party, hosted by his cousin. Though Ducote enjoyed his time at the grill, he didn’t immediately aspire to enter the cooking world. Instead, he left LSU with degrees in economics and political science – later returning to earn a master’s in political science – and taught high school math for two years. Ducote’s readership grew, and he started branching out into more freelance food and beverage writing. He also started entering cooking competitions, leading him to compete on a national level. In 2010, Ducote won the Tailgating Cookoff representing LSU, and in 2011 was cast as one of the top 100 amateur chefs on FOX’s MasterChef. He launched a radio show on 107.3 in Baton Rouge in April of 2011, and in September of that year, he quit his day job and made food his full-time career. In the fall of 2013, Ducote attended a casting call in New Orleans for season 10 of Food Network Star, a reality competition that awards the winner his own show on Food Network. Ducote moved through the process but ultimately wasn’t cast. When casting took place last year for season 11, the network got in touch. He auditioned again and was chosen to compete. Ducote’s chops kept him alive in round after round of eliminations; he ended up making it all the way to the semifinals of the show, which aired earlier this year. So what’s next for Ducote?